April Showers bring May flowers. That was always the saying I heard when I was growing up. Have you ever wondered where the phrase “April showers bring May flowers” comes from? It’s an excerpt from a poem written by Thomas Tusser in 1157. Here is the line: “Sweet April showers do spring May flowers.” Thus, the phrase we’ve all come to know – April showers bring May flowers. Growing up in Ohio I remember spring being cold, wet and blustery. Spring in western Colorado, on the other hand, is simply lovely. Spring starts to become noticeable when the globe willows begin to get fuzzy. Soon after that, the willows turn green and everything else is still bare. Daffodils spring up and all the flowering trees start to bloom. One notices that the other trees are also getting fuzzy and green. The weather warms up and we start to see high 60’s and even 70’s. The sun is noticeably different, more direct and brighter. Then as if by magic, everything has leaves on it and all is right with the world again. Windows can be opened and left open all night. It’s pleasant out and winter has been shown the “proverbial door.” It’s the end of winter – yee haw! In the Grand Valley, irrigation water fills the canals and all the ditches, cisterns, holding ponds and anything else that man has created to store the life-giving water. The growing season has begun. The only bad thing about the beginning of growing season is that the grass grows too. Too quickly I might add, and that means lawn mowing season has begun too. Ugh! April is also a big month in the party rental business. People have awakened from their winter hibernation and are ready to get things done. Graduations are only a month away. Weddings are fervently planned and booked. BBQ’s are organized. Kids sports are kicked off. 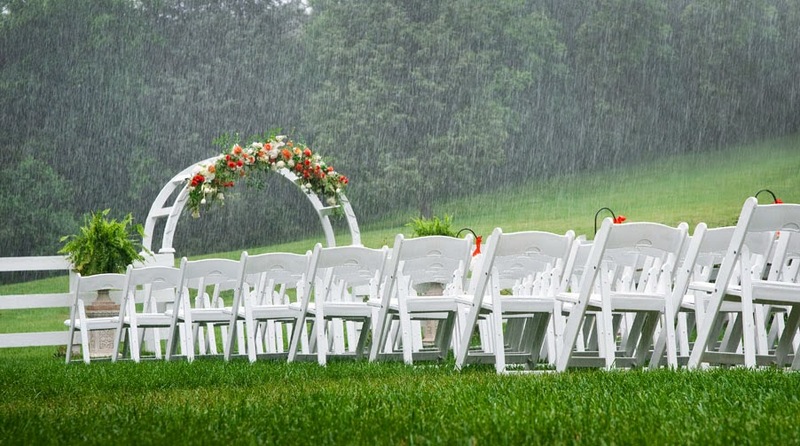 Different kinds of showers are taking place, wedding showers and baby showers. A myriad of activities are being planned and contemplated. Whatever your celebratory needs may be, drink coolers, chairs, chafing dishes or tents, don’t wait to book them at the last minute or it might be too late. We at Grand Events hope you have a wonderful spring.